1. What is Black Eye? 3. What causes Black Eye? 4. What are the symptoms of a Black Eye? 5. How to get rid of a black eye? 8. When to see a doctor? Believe us, walking around with your black eye is not fun at all, and it’s even much worse when it causes everyone who meets you to ask what happened. In fact, there would be no magic that can help those bruises go away, but we know a few simply things you can try at home. In this article, Authority Remedies provides you with some handy and money-saving tips on how to get rid of a black eye. Before learning how to make it fade away for good, let’s find out about this black eye and how it’s formed on our skin! As its name suggests, a black eye, with its scientifical name, periorbital hematoma, is the term to describe the blackening of the area around the eye. Black eye can lead to embarrassment and is the result of bruising surrounding the eyes, which becomes light earlier and darkens when the days goes by. In fact, black eye is a worse condition than dark circle.The darkness happening around the eyes is due to the bleeding under the skin caused by injuries on our face. A black eye is often accompanied by pain and swelling as well as headache and sometimes blurry vision. Once the trauma occurs, the skin around that area will swell first once the fluid seems to build up. Although a black eye can go away on its own, it could be a sign of a more severe injury, like the bleeding in your eye (hyphema). It means that once your bleeding happens inside the eye, it may affect your vision and cornea. This is defined as the post-injury accumulation of blood in the anterior chamber. After a few days, the black and blue shade of your bruises circling the eyes tend to fade to yellow or green color. This is because the blood under the eye skin finally breaks down and gets absorbed into the tissues surrounding it. Based on the amount of blood gained within the skin area, those tissues probably need more than two weeks to come back to the ordinary color. More importantly, it’s a must-do to be conscious that unexplained bruises could be a sign of domestic abuse. In this case, the health providers will be required by law to consult you to ensure that you’re safe in any domestic situation. There will be a lot of various elements that can trigger this black eye. But One of the most common symptoms of black eyes is the appearance of a punch in the face, the nose, and eye. Imagine that when you get a blow to the nose, then both of your eyes would swell up and start to change the colors. If the nose is broken, a black eye is often expected to show up. Apart from this, any head-related injury like the concussion, for instance, would be the reason for your black eye. However, there are still other causes of the black eye such as jaw surgery or face lift as well as nasal injuries and allergies. This skin condition occurs whenever your blood and other fluids link in the space around your eye, and it can last for many days. Out of other possible conditions, nosebleeds are the most common ones. They probably feel frightening a bit, but they hardly ever signal a severe medical issue. Our noses have several blood vessels, which usually lie close the surface in the nose’s front and back. These conditions are quite fragile and bleeding with ease. They take place commonly in all of us and kids at the ages of 3 – 10. A head injury is any injury happening in your brain or skull, which might range from a light bump to a painful brain injury. Some of the most common head injuries are made up of the skull fractures, concussions, or wounds in the scalp. The epidural hematoma happens as a mass of your blood is created in the space between the skull and the brain’s protective layer. Another trauma occurring in the head is likely to trigger the brain to bounce against the skull interior. Such a happening will tear the brain’s internal tissues and blood vessels. As a result, you will start bleeding. Such a sort of deficiency is quite a rare blood clotting disorder. It can end up prolonged bleeding after you get injured. A particular nose (also known as the nasal fracture) is indeed a crack in your bone, or the cartilage of the nose. Such breaks take place on the bridge of your nose, which is the space dividing the nostrils. 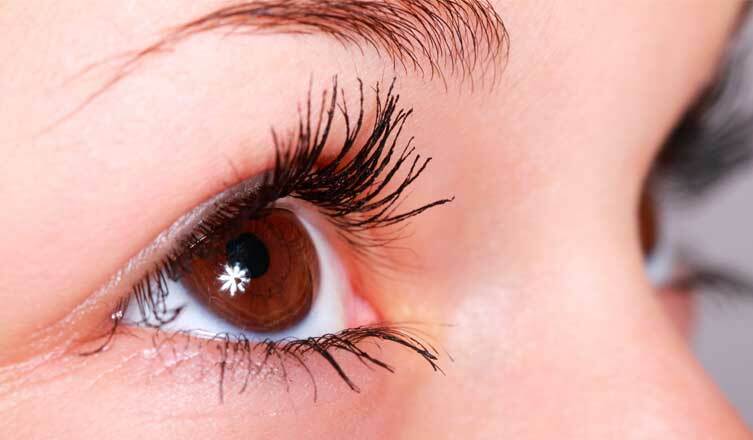 Having a foreign object in one of your eyes means that it might enter that eye from outside. It could be anything which doesn’t belong there, like the dust particle for example. Once a certain object gets into the eye, it possibly affects your cornea. It can be seen as inherited bleeding that happens to a person who is short of or having low protein levels. This results in the excessive bleeding, and following the WFH, one in ten thousands of people suffer this disease. Above all, it is simple to eliminate dark circles around your eyes. Stress or nutrient deficiency, insomnia makes your face appear more seriously damage. What are the symptoms of a Black Eye? As having black eyes, blood on the affected area and the skin changes from red, purple, or black. Common symptoms can consist of swelling, pain, incapable of moving the eye, headaches and blurry vision. If there emerges a cut on the skin around eye, severe internal injury to the eyes, head, or another facial parts, or when you have symptoms such as vomiting, nausea, dizziness, or vision problems, including loss of sight, double vision and so on, consulting to the doctors right away is highly recommended. But we’ve got the good news about your black eye that you give it about one or two weeks to heal. The black eye can finally disappear on its own when the swelling decreases, and your bruised skin turns from the blue and black to the yellowish-brown shade. However, if you can’t stand it for such a long period, here are some simple methods on how to get rid of a black eye you can try at home. The wholesome ingredients around your home play a great role in many natural home remedies about how to get rid of a black eye. To create the best possible home remedies, you should read on the following list. Cucumber is a fruit that contains a lot of antioxidants such as Phenolic  and Peroxidase which are extremely essential for vascular circulation. In addition, it also contains vitamin K  which helps stimulate blood circulation and protein to help avoid vascular calcification. The benefits above are enough for cucumbers to be on top of the list of most effective methods for how to get rid of a black eye. Leave a cucumber in the refrigerator for about 5-10 minutes and then slice it. Put two pieces on your eyes within 10 minutes. You can do in the morning or evening. 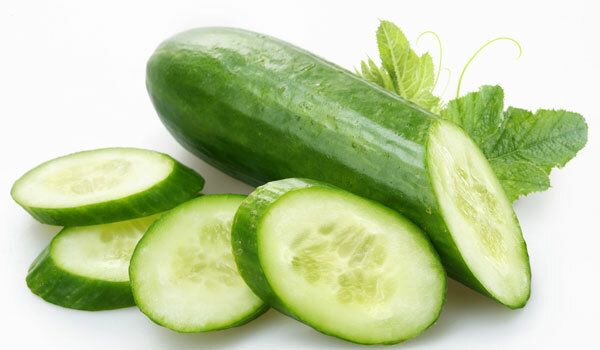 Besides black eye, cucumber can also a significant treatment for another eye problem which is the red eye. You can find out more about it at: Home Remedies for Red Eyes. Tea bag is a life-saver when it comes to any black eye treatment. Applying two tea bags (used) onto the eyelids can help you blur black eye and signs of fatigue  around your eyes. This is due to the antioxidants found in green tea leaves (polyphenols  and epigalocatexin gallate ) and thereby helping increase blood circulation. 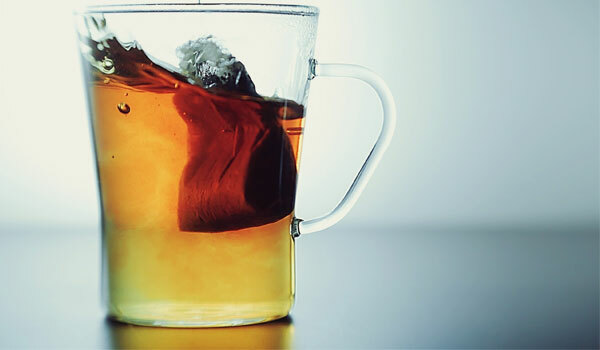 Leave two used tea bags in the refrigerator for about 5-10 minutes. Apply to your eyes (remember to close your eyes). You can do in the evening or morning. Learning how to get rid of a black eye with this tip is easy, right? The answer on how to get rid of a black eye is no longer hard to say because daily eye exercise is proven its effectiveness. Some exercises might help dispel eye’s tiredness when you wake up and promote blood circulation. The lymphatic system can  reduce congestion and erase the signs of fatigue. Before getting out of bed, use your fingers to massage in circular movements around your eyes clockwise. Perform this exercise every day is one of the simplest tips for natural black eye treatments. You can also use a mixture of almonds by soaking a few almonds in water overnight and then grind them in the morning. You can add some fresh milk and rub them around your eyes in 15 minutes. This solution is the most practiced one from the list of methods for how to get rid of a black eye. 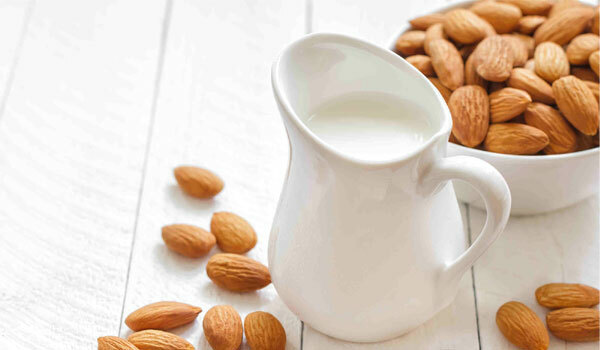 Together with applying almond onto your eye, you can also consume almond sometimes as well in order to avoid insomnia. You can read more about the benefits of almond at: Home remedies for Blackheads. The combination of honey and orange juice is among top home remedies for a black eyes that should not be looked down on. 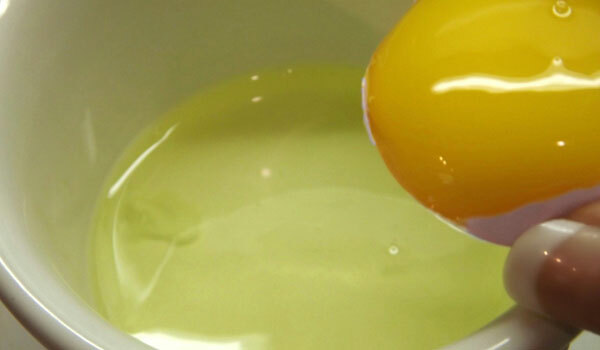 Mix one tablespoon of honey, three tablespoons of orange juice and some flour into a patch. Then, leave it in the fridge and later apply this patch around your eyes. It is reckoned as one of the optimal methods on how to get rid of a black eye. A daily diet consisting of iron and vitamin A , vitamin C , vitamin K, vitamin E and bland eating regime helps dislodge dark circles around the eyes rapidly. It is also one of the simple treatments on how to get rid of a black eye and brings optimal efficiency, not only for the skin but also for your health. Our bodies are 80% water , so 8 glasses a day will help refresh your body, remove toxins, reduce stress and help the body organs work properly, and dislodge blackness quickly around your eyes. Another tip when it comes to learning how to get rid of a black eye is adding extra tomato or cucumber on your daily menu. 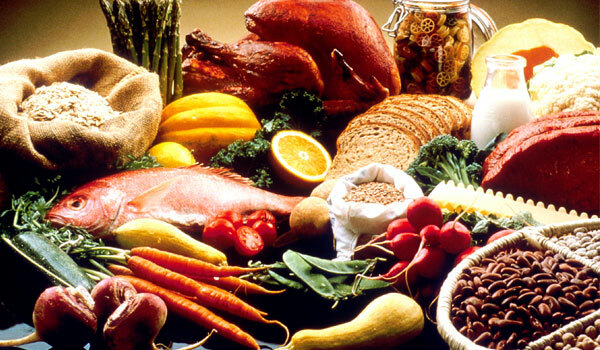 They are wholesome foods which help you get healthier and make your eyes brighter. You will be surprised to know that potatoes are one of the great vegetables which can help your eyes become more beautiful. 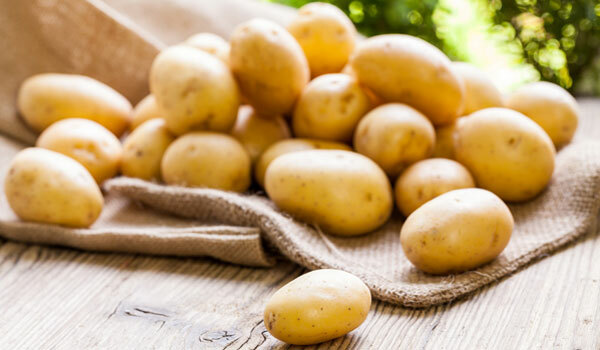 The reason is because potato containing an enzyme which can lighten the skin and reduce dark circles and puffiness. The recipe is quite simple. Just use a few cool slices to apply to your eye areas, or whole face, because the potential beauty of this vegetable is huge. However, you need to get up early to perform the above method, as it takes up to 30 minutes to care for your eyes. For more information about the benefits and applications of potato, please read: Home Remedies for Migraines. If you want to be quick to say goodbye to black puffy eyes, you will need to crush some mint leaves and apply it to your black eye. It takes only 5 minutes and is suitable for busy or lazy people. 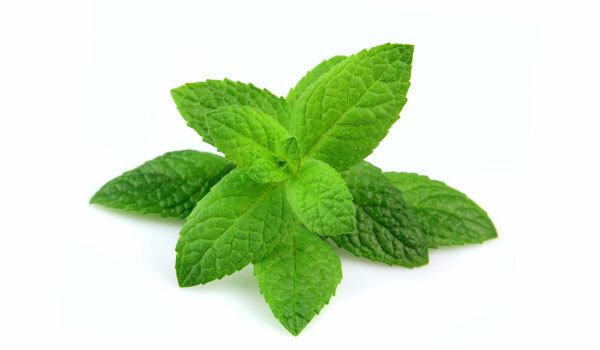 You can also combine crushed mint with some honey, or olive oil into a facial mask in order to reduce swollen eyes and remove acne thanks to excellent antibacterial property of honey. It is one of many simple tips on how to get rid of a black eye. 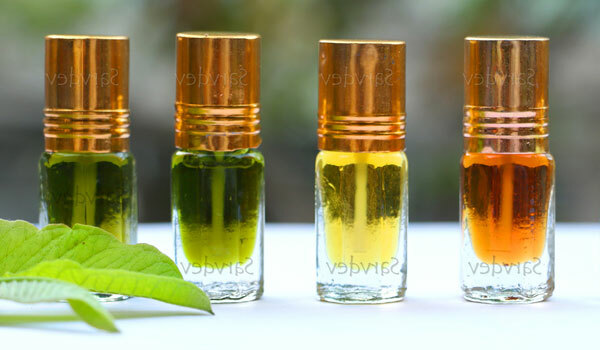 Attar has anti-inflammatory property due to the containment of vitamins A and C which are beneficial for your skin. Therefore, use absorbent cotton and put it around your eyes for about 10 minutes. This effective measure helps reduce swelling and dark eye areas. You can also do homemade attar by taking rose petals in boiling water, then simmer until the petals’ color fades. Filter out sediment and preserve in a cool dry place. This is the handiest solution for how to get rid of a black eye as it is easy to store and can last for a long time. You can find another health benefit of Attar at How to get rid of dark underarms. This should be labeled as the simplest way on how to get rid of a black eye. All you need to do is just dissolving a half teaspoon of salt into one liter of warm water, then deep into this solution a cotton stick and apply it to the eyelids for 10 minutes. Salt will draw water out of the skin. Efficiency will increase if you keep for more than 10 minutes. 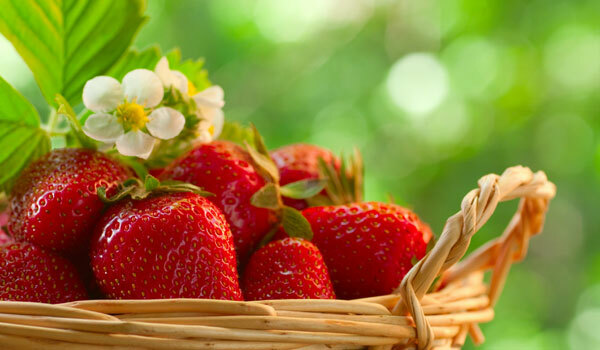 Thanks to the content of alpha-hydroxy acid, strawberry not only helps prevent skin aging effectively but also supports girls to eliminate ugly puffiness. Strawberries after cooling in the refrigerator need to be sliced and applied to the eyes for a few minutes. By this way, you can quickly reduce the swelling eyelids, make your skin cool. It is considered as an effective method for how to get rid of a black eye as well as helps busy women to care about their eyes easily and quickly. 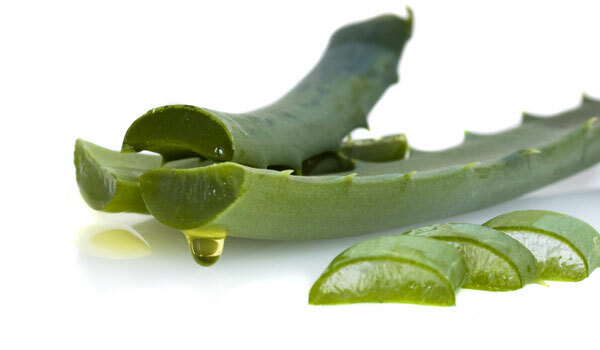 Another impressive black eye remedy is Aloe Vera. Although its ability in reducing swelling eyelid which has been recognized for a long time, this method on how to get rid of a black eye often brings the slowest efficiency. Therefore, if you like to beautify your eye with Aloe Vera, you should use it regularly each day by covering peeled Aloe Vera slices over your eyes before going to bed. This method usually takes effect after one week. If you are searing for what to do for a black eye, orange is one of the greatest choices. Although orange is used by eye care which takes you a lot of time, it is considered as a measure to prevent dark circles and puffiness immediately. 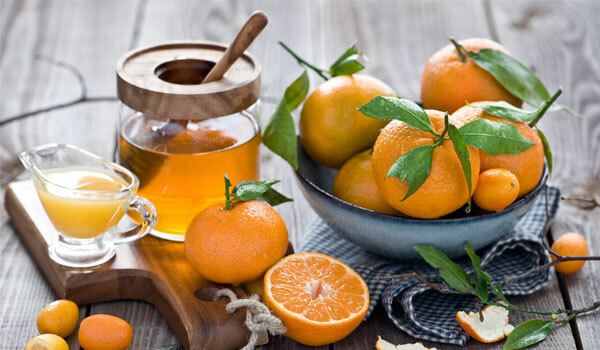 You can mix orange juice with a little glycerine or gelatin, then apply it to your skin under the eyes several times per week and leave for several hours or overnight. 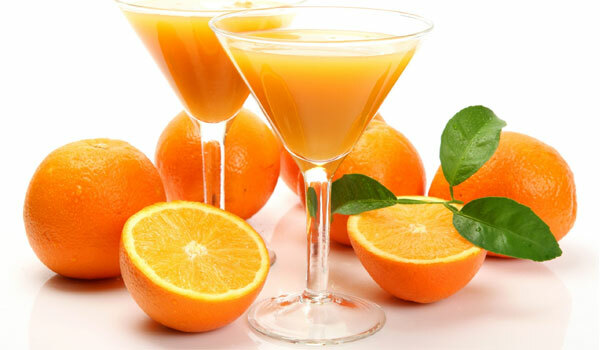 Vitamin C in oranges is considered as an ideal nutrient so as to maintain healthy glowing and smooth skin. With these simple and natural ingredients, you can make excellent solution on how to get rid of a black eye. Mix tomato juice with lemon juice. Combine it with turmeric powder. After 5 minutes, apply it around your eyes within 15 minutes and rinse with water. First, wash the affected area thoroughly with warm water so that coconut oil will easily penetrate the skin. 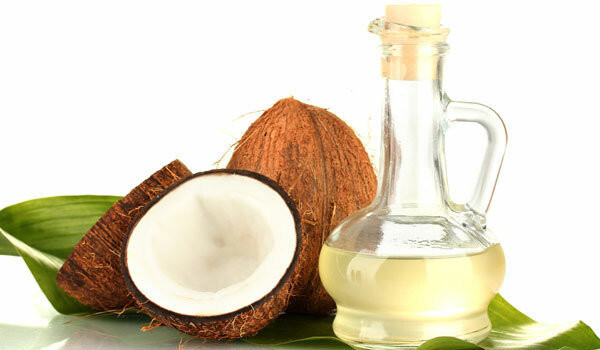 Next, dry the skin, rub coconut oil around dark circles skin. Is it one of the easiest manner on how to get rid of a black eye that you can use right away. What makes metal spoon become one of the most simple but effective home remedies for a black eye? Here is the answer. Just use two metal spoons but this way can give you amazingly effective. You place two metal spoons in the refrigerator to make them cold and then apply them onto your closed eyes. 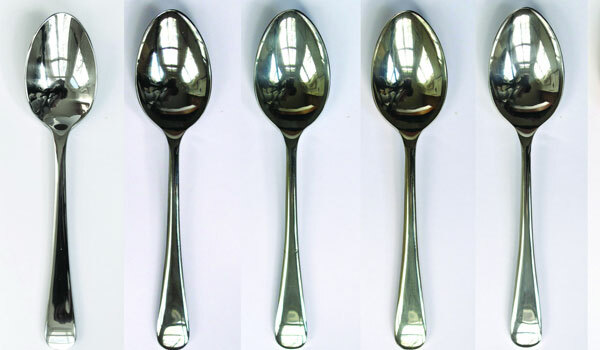 Spoon with cold temperatures helps improve elasticity of blood vessels, reduce dark circles around your eyes. This tip on how to get rid of a black eye will give you much surprise. Glair helps skin become firmer and smoother. With its abundance of vitamin B2, it can significantly encourage vascular circulation. You just have to beat two glairs and use a paintbrush to cover up your eyes. Then relax until it dries. Finally, wash again with clean water. Sesames are the food containing high levels of protein which are good for the human health, especially those who prefer vegetarian. Sesames are very good for helping you confront with dark circles and puffiness. 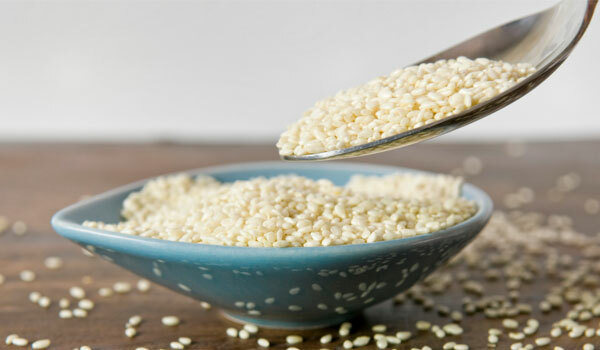 Grind sesame and use them to massage your eyes. The ingredient will helps ease your tired eyes and relax after a busy day. The vitamin-E-rich foods such as peanuts, sunflower seeds, walnuts … also have similar effects in treating dark circles around the eyes. One of the initial things you’ve got to do right after the injury is applying an icy cold compress to the eye that has not changed to black yet. As you try to apply the ice to the injury, it will help constrict your blood vessels so that it can stop the internal bleeding under the skin. Wrap it like a bag. If availing the frozen vegetable pack, it’s essential to get it out of your freezer. Hold the pack or veggie pack over your injury within 10 minutes, but avoid rubbing it on your eye skin. Rest for 20 minutes before holding the pack again to the eye for another 10 minutes. Apply the ice pack after one or two hours and keep repeating this for 24 hours from the moment you get the blow to the eye. After this period, let’s switch to the following warm compress. When it reaches day 2, or exactly after 24 or 48 hours, it’s necessary to change from using the ice pack to your warm compress for the black eye. While your ice pack could help you dodge bleeding more by tightening and limiting the blood vessels, there will be a time when your blood can’t leak from the veins; it’s gained around the eyes. During this point of time, using warm compress will help rev up the blood circulation into your damaged vessels. Doing this is quite useful since the blood that is trapped under the skin will be re-absorbed quickly. Therefore, the warm compress can speed up the entire recovery of your black eye. Get warm water and pour it into a large vessel to dip a cloth lightly. Dip your cloth into water and then take it out for draining it off any excess water. A warm damp cloth should be needed at this time. Put the warm cloth on the black eye and leave it there until it starts to cool down. Do not try to apply the warm compress straight to the eye, but just the skin around it. Repeat the whole process all over again, and keep doing so for ten minutes at least. Take a break within 20 minutes and then avail the warm compress on the eye for another 10 minutes. Repeat this after every one or two hours. Limit the use of computers: Let the distance between the screen, and you be at least 50 cm. Adjust its light level. Also, let your eyes rest frequently. When working with a computer for a half of hour, you should blink 3 to 4 times and close your eyes 1 to 2 minutes. Sleep enough: Sleep at least 7 hours per night. Rest and nutrition, this is the most important thing to help you get sparkling eyes and reduce dark circles. 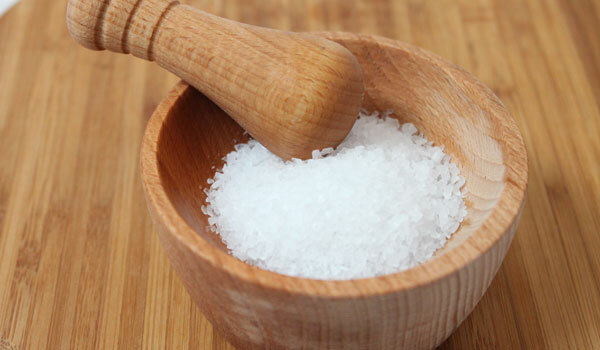 Do not eat salty: Eating too much salt will make water to be stagnant in the body and swollen eyes. 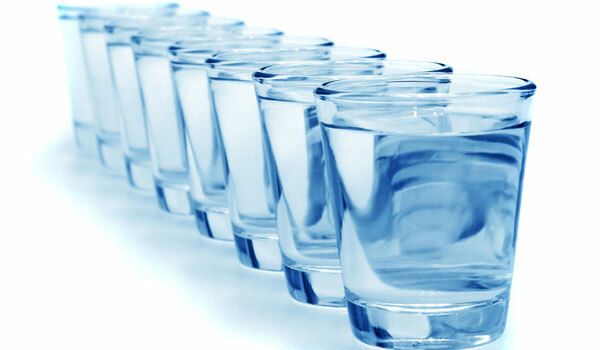 Drinking plenty of water every day will help your body purify, be healthy and beautiful and reduce ugly dark circles. Avoid combat sports: There are boxing and different types of martial arts which put a great potential to trigger your eye injuries, particularly the black eyes. Besides, the riskiest sports for your eyes are basketball, tennis, Ping-Pong, baseball, and more. Please watch out for any sport involved little and hard objects that could fly at the face. Be alert to job hazards: If your job is likely to contain any hazard like the objects that you must put on all the time, then be careful! As stated by the Centers for Disease Control and Prevention, most occupation-related eye injuries take place to more than 2,000 people a day. Seek professional help in domestic violence: If you’re in such an unsafe situation, guard yourself by looking for expert assistance. More importantly, watch out other people in life, from coworkers to friends, and never be scared to blow the whistle. You should try to balance life with living scientifically through the moderate schedule. Hateful dark circles will not come back to bother you. Try to mix some tips on how to get rid of a black eye to get better results in a short period. When your black eye displays no noticeable sign of recovery after one week, or when it’s not fully healed after three weeks, then you need to set an appointment to meet your doctor. Doing so will help give you a safer treatment as soon as expected. Besides, when the bruise around the eye feels a bit warm to touch, or when your skin around it starts to emerge the pus, let’s see a doctor instantly. They could be the common signs of infection, and the result of postponing your medical treatment. However, if seeing your doctor can’t meet you within 24 hours, simply find an urgent clinic for the best possible care. Also, it’s a must-do to seek instant medical attention, during getting injured that triggered the black eye, or when you had to suffer a hard blow to your head. Try to do it soon especially when that blow could lead to your loss of consciousness. Be careful because that blow might lead to a concussion. Some striking symptoms of a concussion would consist of the blurred vision, double vision. If you left it unhealed, your concussion, even a light one, will lead to more lasting brain damage. When you’ve got two black eyes, particularly if you’ve just got a blow to the head’s back, you’re likely to have a serious injury called as the basilar skull fracture. It can be seen as a life-threatening condition, so you can’t delay it, but should seek medical attention in time with this symptom. It’s true that a black eye is not a severe problem, but when it’s left untreated properly, it can be an indication of something serious in your vision. So we hope that these 22 handy tips in this article on how to get rid of a black eye can help you know to handle it in time. They’re the best strategies to offer optimal healing before you’re confident enough to go out in public. Now that I know whitening teeth at home, I could try everyday and the best part is I do not have to go nowhere for doing it. The fact is, I’ve gone for couples of teeth whitening solutions but they did no good so I switched to these home teeth whitening remedies and they worked well. Great!!! Been there as I’ve also reached for home remedies for white teeth instantly but seemed that they were not working. Then i decided to opt for home remedies for white teeth olive oil with an aim to treat this issue naturally. So far, it has been the best at home teeth whitening kit I could use anytime at home. totally argree as it works for me too. In such case, it is in fact the best dark circles under eyes treatment at home I’ve reached for so far. I would make it the cure for black eye from the first time applying it. Eventhough, It cannot give instant result as it would take some black eye healing time for you to get over this health issue. To show you how do you get a black eye with olive oil, you should best read the instruction above before trying. True story when I had black eye this last year and It was a very tough time for me back then. I was like going all over the Internet to find home remedies for black eye and consult every people I thought that they had some ideas about black eye treatment. Fortunately, hard work paid off and I found the holy grail treatment for black eye for myself, which is seasame and It worked perfectly for me. It has never striken me that coconut oil would work as black eye cure as I think that it only work for your hair and your skin. It is also much of a surprise that it could actually help on how to cure a black eye in 1 day. From my personal experience after only one time of application, this should really be the go-for remedies for a black eye anyone has this problem should try. First things first, you should set a hard and fast target date when you will completely quit, for example two or three weeks from now. However, it is important to have the doctor’s opinion first prior to taking these oral medications as these could have pessimistic effects around the body. Very well written article. It will be beneficial to anyone who utilizes it, as well as yours truly :). Keep up the good work – looking forward to more posts.